There are coordinating "Happy" sentiments (Uplifting Sentiments) found HERE. 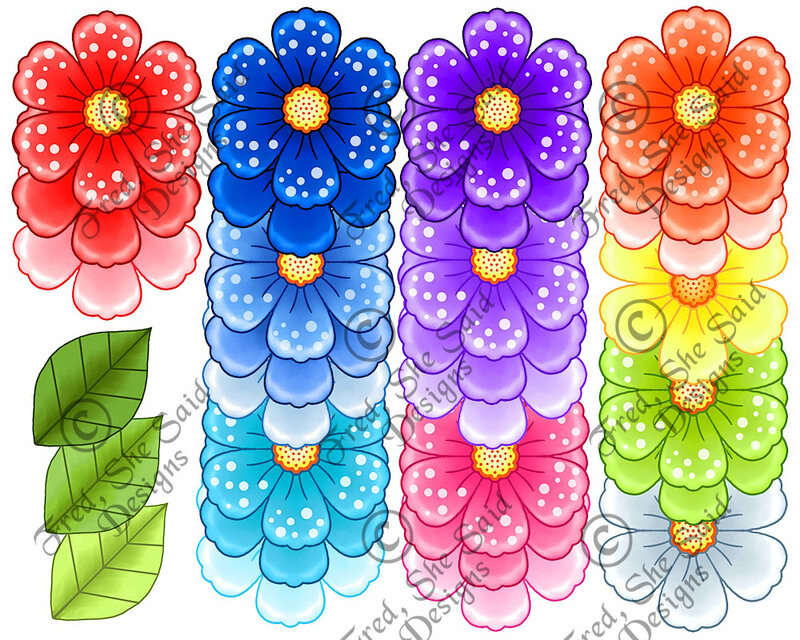 I made this set as a request for polka-dot Fred's Flowers WITHOUT black outlines.. well I got a little crazy! (grin) Your imagination is your limit on how to use these flowers. 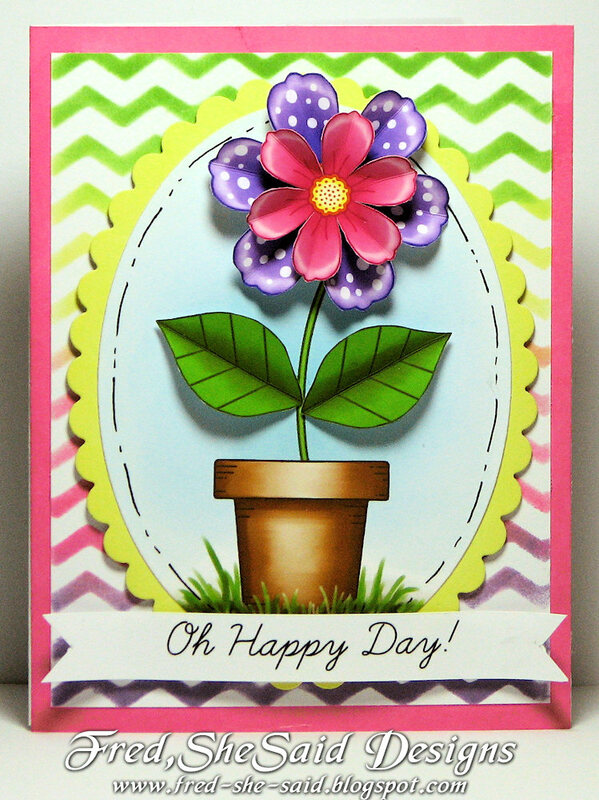 When printing and resizing the petals, a rule of thumb for the smaller flowers for on top is to resize to 75-80% of original. 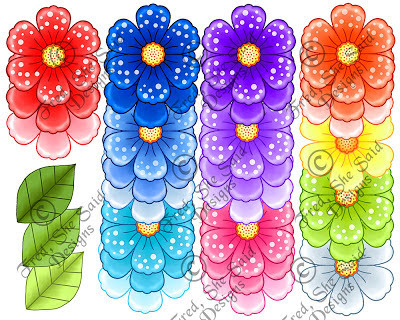 -includes the flowers in the colours above, solid coloured flowers have centers or no centers. 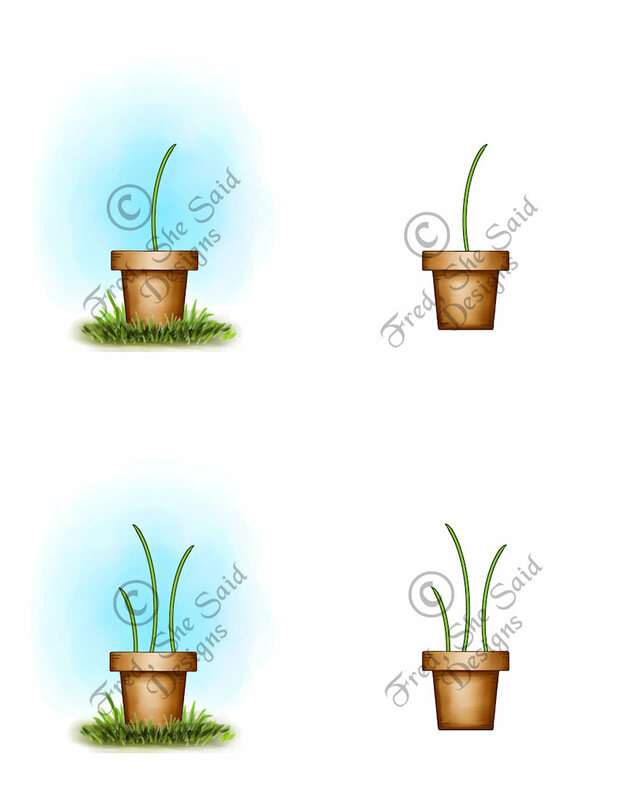 All elements available as individual images (there are 53 individuals images in total). 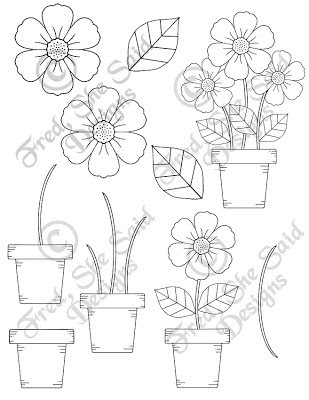 There are 8 Flower SHEETS, a Leaves SHEET and a SHEET of flower pots like you see below. 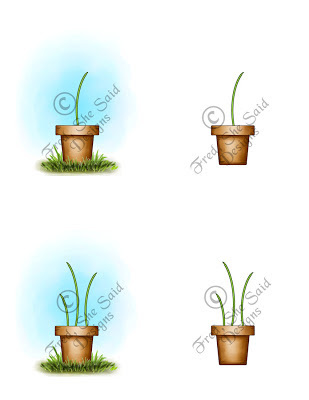 **PNG images of the elements for this set are also included in an extra download. 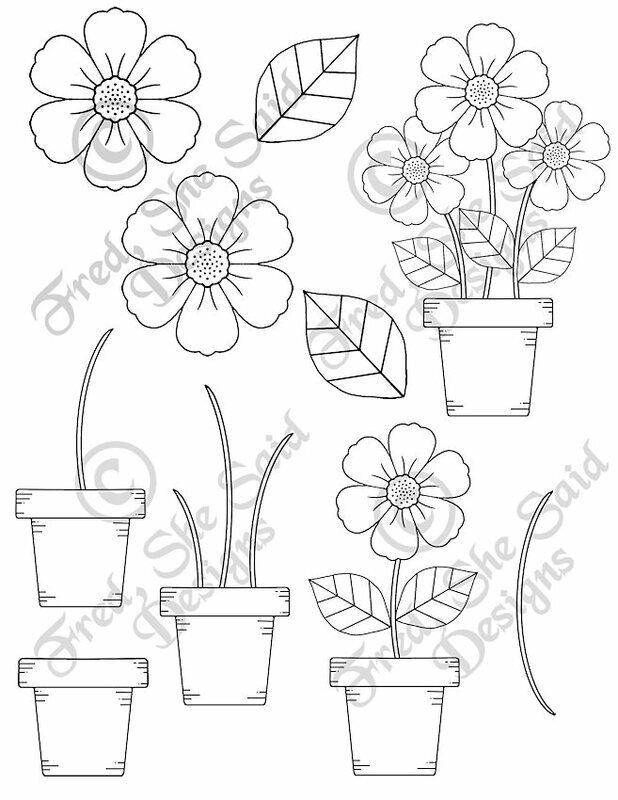 Includes flowers, leaves, pots in several variations and including the added flowers (in JPG & PNG). 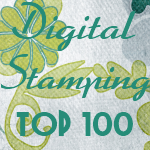 There are 3 ready-to-print SHEETS as well.